Parking can be found on Pier 3. There is also a public parking across the street on the Northwest corner of Washington St. and the Embarcadero. Public Water Taxi Service: There is a public pier behind the restaurant, for small boats to park free for a maximum of 3 hours. 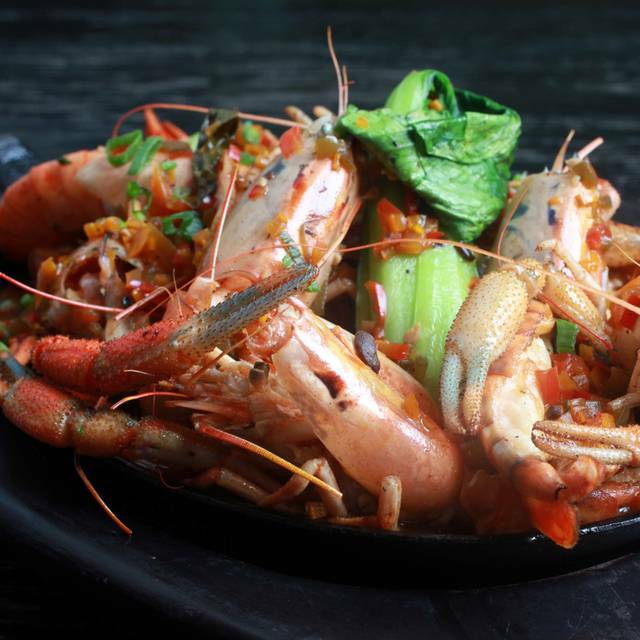 Go to Lamarsf.com to check out our weekly specials! * Patio seating is on a first come first serve basis and cannot be guaranteed. 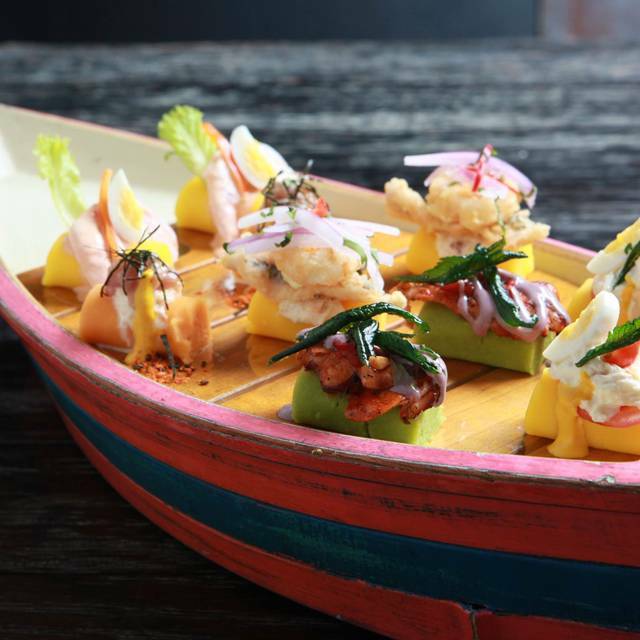 Inspired by the thousands of cebicherias found throughout Peru, La Mar Cebicheri­a Peruana, was created as an attempt to globalize and enshrine one of the best guarded treasures of Peruvian cuisine: cebiche, Peruvian seafood and the scenery created to enjoy them, the Peruvian style cebicheria. Mother's Day Brunch at La Mar $95 Buffet with Choice of Entrée from 11:30AM to 3:30PM. We will be offering our regular menu for Dinner starting at 5:30. The kitchen is SO on point. Their 🐙 is just the best. 11/10, a must visit every time I'm in the city. We were sitting outside by the water at 5:30 and it was lovely. About an hour later a lot of clouds rolled in and the wind picked up so it got quite cold. My 90 year old grandmother was visiting from south Florida and is accustomed to warmer weather. I asked three different people if we could move to one of the tables by the heaters for our dessert/coffee. There were 5-8 open tables by the heaters under the patio cover. Each of the three people said let me ask the hostess and then didn't return with any answer. I had asked the waiter as well who said he would check and let us know, then he asked if we wanted to order dessert. I gave him our order and then he came back with the coffee and went to put it down on the table. I became frustrated and did not understand why he was not acknowledging anything about our multiple requests to move tables. As he went to put the coffee down on the table I told him that we don't want dessert/coffee if we can't move to another table, as it is too cold. I was snippy in my communication due to my frustration with the situation and feeling that multiple requests to move were ignored. I later apologized to the waiter for my frustrated tone of voice. We were finally allowed to move and it was much more comfortable. Overall the meal/experience wasn't worth the $200 that we spent and I left feeling disappointed and dissatisfied. Maybe because it was a Friday and we were there at 3 PM, service was not great. I had to get up to obtain any service. Then, one server took us on, however, I don’t believe it was his section. As always, the food was amaze. SIMPLEMENTE SENSACIONAL. SOY SU FAN. YA HABÍA TENIDO PREVIAMENTE UNA EXPERIENCIA EN LA MAR DE MIAMI Y POR ESO FUI A SF, NO ME DEFRAUDÓ. Seafood by the sea...or bay. The octopus, the octopus, The octopus! Oh, and the chips...damn those chips. Grilled veggies. All the sauces! 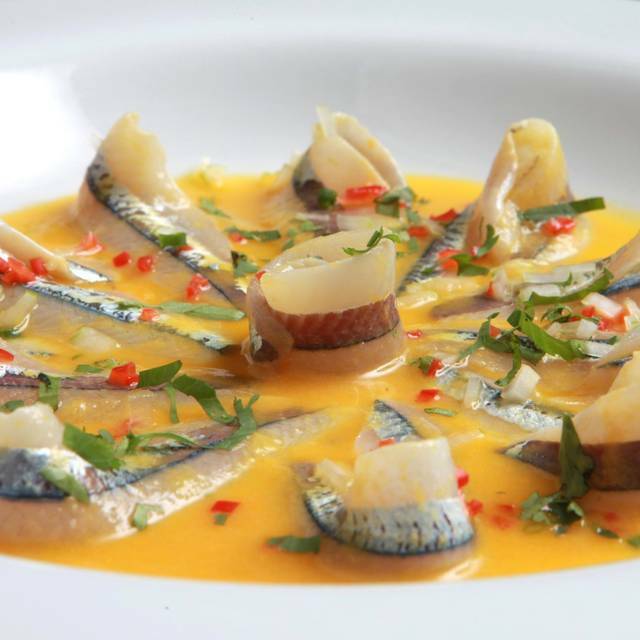 Delicious cebiche! The octopus was tender and with great taste. Could improve the wine list but I would definitely come back. Would have been nice to have more chicken options, gluten free, & dairy free options. Patio got way to hot from workers turning on all heat lamps & closing the patio curtain. Overall experience was nice. A bit over priced. Beautiful place and delicious food! Husband and I were in town to celebrate our anniversary and specifically chose this restaurant as it’s one of the few places we can get amazing Peruvian food (the La Mar in NYC has closed down and we make a point to come to the San Francisco one whenever we can). Food is always great! Amazing lomo saltado, friendly staff and delicious desserts. The tres leches was moist and refreshing! We also had the sorbets which included a passion fruit flavor which reminded me of home! Hands down favorite place in San Fran! 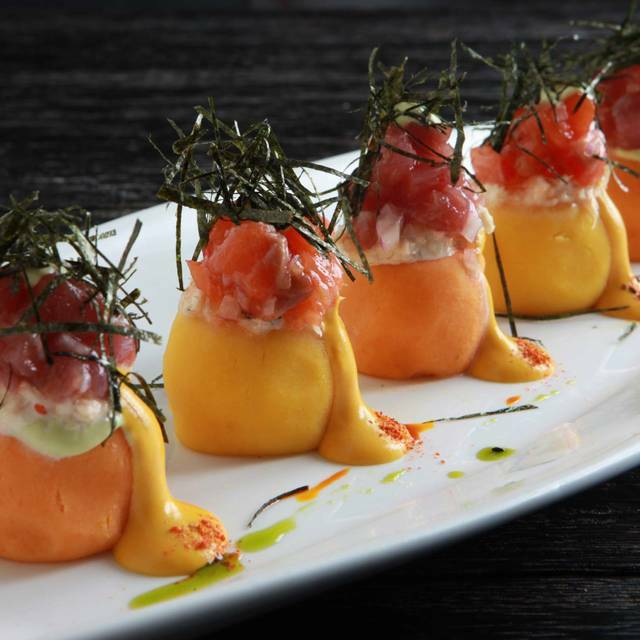 La Mar is always a great experience and has been consistent with their menus since they opened in San Francisco. I tried two new items this time: the scallops and tacu tacu which was a nice version of the traditional dish. I also tried the croquetas and did not stand along with their rest of the menu. The consistency of the filling was too mushy and on the salty side. Hostess was professional and attentive. Our server took longer than expected despite the fact we informed him we were on a time frame due to a concert. 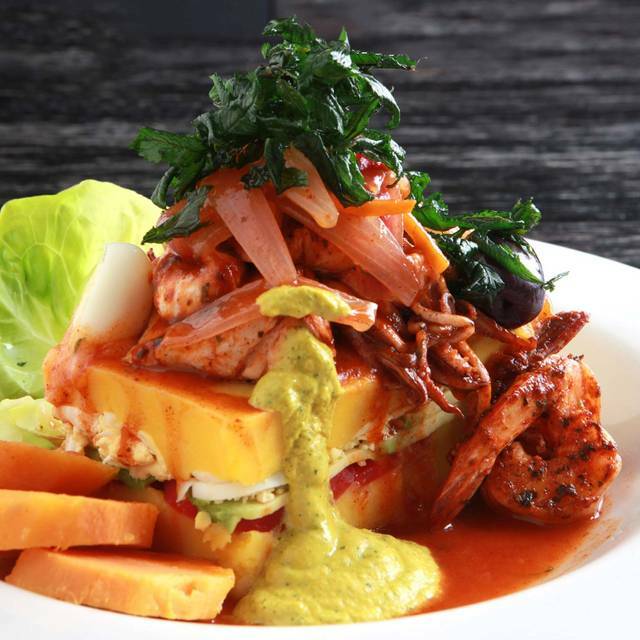 A wonderful introduction to Peruvian food! The various ceviches were all excellent, as were the empanadas! My enter, a specially prepared filet was superb! Loved the food! The menu and cocktails were fantastic, without being over-priced. Relatively casual atmosphere with friendly and accommodating staff. We were recommended to this place by a friend, and we are grateful for the suggestion. Will definitely go back on our next trip to the area! I’ve been going to LaMar for a number of years, usually with out of town friends or for celebrations. I was there last Saturday and it was my last time. Service was especially poor, despite what seemed like zillions of people dashing around. We still had to ask for everything. Their usual basket of chips didn’t come until I asked, drinks took forever to order and then to arrive. We asked for blankets ( as had been offered ) since we were on the patio and it was cold. Had to ask more than once and it took nearly 20 minutes. When they cleared the plates from the first course, forks were tossed back onto the placemats rather than replaced with clean ones. Food delivery was haphazard and not up to the standards that their prices demand. Food was not memorable, not even all that good. I’m very disappointed at La Mar and will look for another restaurant for memorable occasions that can “deliver the goods”. Great ambience and great food. Right by the sea. Prices are on the high side. Deliciousness abounds, and worth the cost for a special occasion. Sit at the bar for the best service! Outstanding dinner! Went for a business dinner could not have been happier. Food was incredible and great cocktails too. I've recommended La Mar multiple times since going. Great dinning experience. 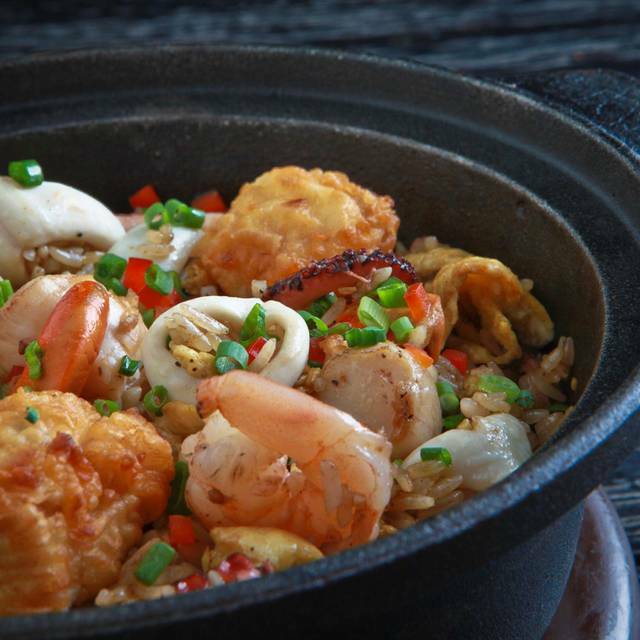 Nicest is that is perfectly fine to share several dishes. The whole fish was wonderful! The servicer would have been happy if he could have served the appetizer, the salad, the main course and desert all at on time just so he could turn over the table. Too noisy, too light, not a date night restaurant. Another lovely dinner at La Mar! We were with friends from out of town and were really pleased to be offered a table right on the water with heat lamps. 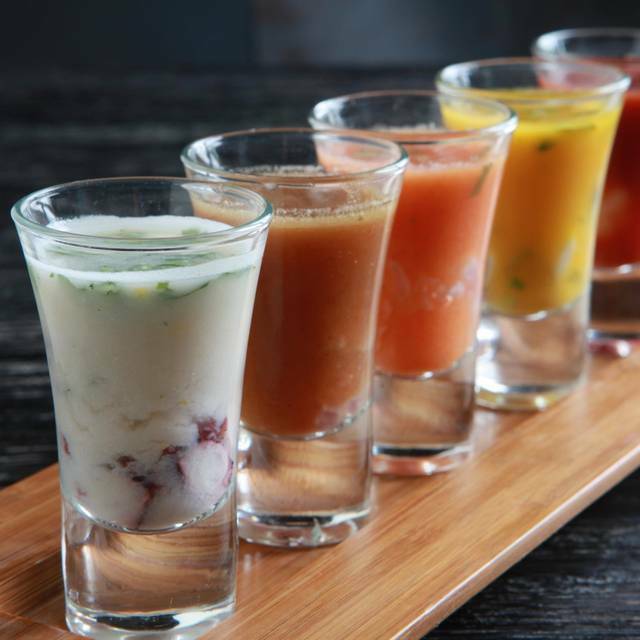 The food was all great - ceviche selection, empanadas, quinoa salad with burrata and of course, the pisco sours. Really fun evening in Peru! Very good food but terrible service. It’s sad since it takes a lot from the amazing food experience. The cebiche and empanadas were exquisite, however, the main dishes were not as we expected them. The desserts were nothing special. The service was very good. The noise level was very high. The food was below average and didn’t seem fresh, well below expectations considering the price. Service was ok but pretty slow and the place does not look like anything special. The only particularly nice thing was the view. The food and service were very good. The restaurant was very loud. Our main complaint is the cologne or aftershave that the wait and bus staff were wearing. It was pretty awful. Usually attended during dinner times, but today was for lunch. As usual La Mar did not disappoint. The food was amazing and our service was first class. This is still my favorite restaurant! The staff from the hostess to the servers and everyone in between were very welcoming, polite and attentive. Wonderful staff, thank you very much!!! 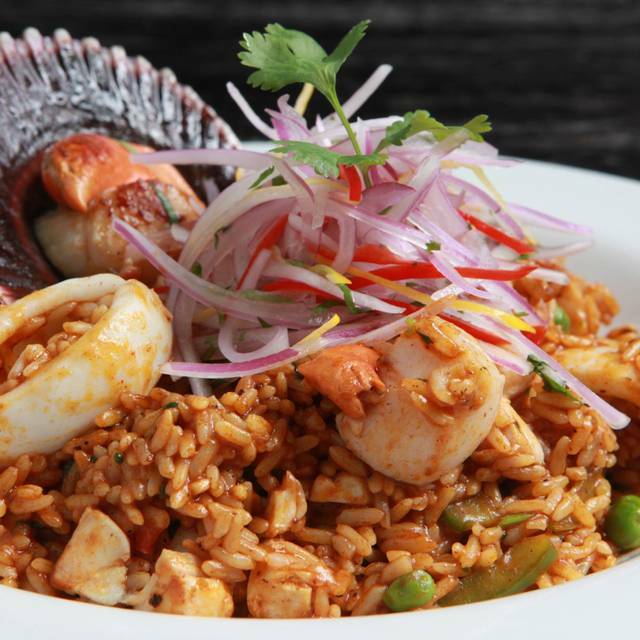 Beautiful South American cuisine, fresh seafood and lovely view of the pier. The service was exceptional and the food was amazing. Food was delicious especially the ceviche and the empanadas. A must go. Great service and food was fantastic. We asked for a seat by water and was placed by the inlet side. That was the only downside. 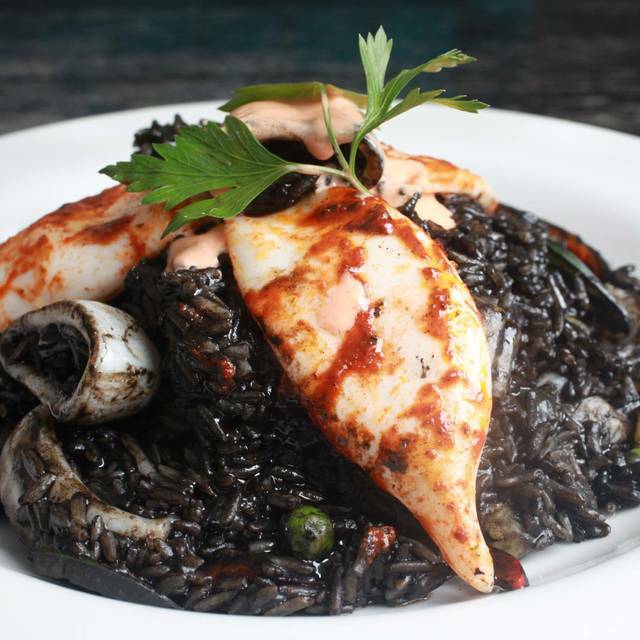 Sparkling fresh fish in the ceviche, seafood paella was outstanding - cooked to perfection. Service was attentive and professional. Absolutely will go back. Waiter was too cheap on the chips. We had party of 5 and asked twice for 2 baskets of the chips but they kept bringing only one at a time. Food was good, ceviche mixto is very good . Service was great, very friendly. Definitely we will back .